discuss his career to-date and to get his opinions on the development of BIM in Ireland. 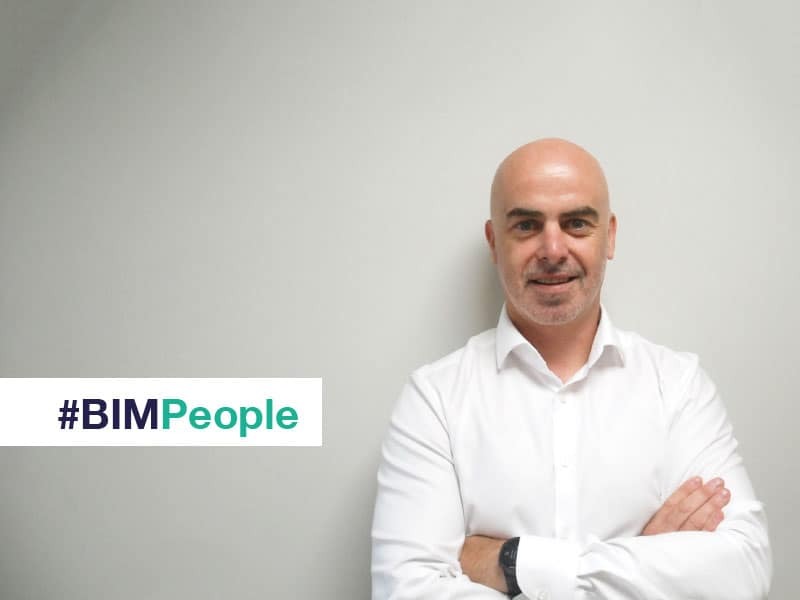 As a former CitA Eastern BIM Region secretary Barry is heavily involved in the Irish BIM Community. During his time on the RIAI Architectural Technologist Committee since 2013, he has participated in RIAI visiting boards assessing several RIAI accredited Architectural Technology college programmes. Barry has a strong technical background supplemented by considerable site experience. Having graduated in 2014 with first-class honours from the MSc in Construction Informatics at Dublin Institute of Technology he has gone on to gain expert knowledge around the standards, methods, and procedures associated with collaborative Building Information Modelling. Here Barry talks to us about his work and gives his opinions on BIM in the industry and education. Can you tell us about your work as a BIM Development Manager and Senior Architectural Technologist at RYAN+LAMB Architects? RYAN+LAMB is a Dublin based architectural, project management and BIM consultancy practice. The strength of our team is based on successful and proven working relationships built over the past 20 years. We have identified BIM and digital technologies as central to our future growth and sustainability. My role is to oversee the implementation of technical standards together with driving practice-wide BIM adoption and development. The role which is quite challenging includes everything from planning and implementing staff training to defining and maintaining office and project-specific protocols and standards. Can you tell us about the main projects that you have utilised BIM on and the sectors the projects were in? Our modelling experience gained collectively over the past number of years includes, residential developments, schools, student accommodation, office fit-outs, data centres together with small and large scale commercial and industrial developments. 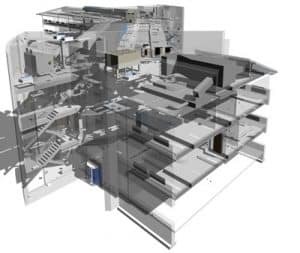 We are actively engaged in the provision of BIM consultancy for several clients including main contractors. We assist in the development of Employers Information Requirements to ensure the key client information requirements are captured in project documentation. We undertake BIM capability assessments and advise on pre-contract and post-contract BIM Execution Planning. We oversee and verify the ongoing development and delivery of fully compliant asset information including COBie data, against client requirement. We also advise project teams regarding establishing Project Execution Plans where BIM is not client requested but full project BIM collaboration is favoured by the project team. How do you see BIM deliver value to the client and how has BIM helped the design team and contractor deliver projects? In our experience, the benefits of BIM are realised to varying degrees and by differing stakeholders depending on the project stage of development. As Architects and Technologists we can arrive at key design decisions far earlier in the process allowing for more informed decision making by the project team in general. We are constantly challenged by changing regulatory requirements and our client’s brief. Utilising the 3D modelling aspect of BIM allows us to ensure we bring our client on the journey with us. Advanced modelling tools allow for everything from energy performance analysis to optimised glazing distribution calculations. With the use of 3D design and presentation tools we are now able to fully immerse our clients within our designs. Technology now more than ever is allowing us to reduce the gap between the client’s expectation and actual project delivery. BIM provides for greater cost certainty at tender stages, particularly for contractors. The accuracy of the information produced from the process can be relied upon in developing accurate cost plans and construction programmes. Throughout the build stage contractors can coordinate virtually and build right first time which reduces waste from the process to the benefit of all. This is particularly valuable for data centre projects where very high levels of building services coordination are required to optimise the operational efficiency of the assets. Clients expect that through the design and construction process the project team will deliver a coordinated building. The benefits during the build phase are mainly realised by the contractors and their teams through reduction in waste and re-work, improved working relationships through better communication and on time project delivery. In turn, the client benefits from reduced waste and better build quality, however, the true client value of the BIM process lies in the integrity and usability of the asset data, developed during the project build stage to maturity at project handover. When properly procured and delivered this information can be integrated into their Asset Management solutions for continued use during the building operational lifecycle. In your opinion how successfully are contractors adopting BIM? BIM has been successfully adopted by several of Ireland’s leading contractors. While this was initially driven by the UK BIM Level 2 requirement to engage in public works procurement the experience gained in the UK market has been passed back to Irish operations. Many of the leading contractors have successfully implemented BIM project workflows into their standard operations and are now working to accredited standards for BIM excellence. It is the contractors who have really taken the lead in promoting BIM use on projects as the levels of cost certainty and project coordination which can be delivered through successful BIM projects ensures improved bottom line figures. How well are architectural practices adopting BIM and what have the main challenges been? I think that larger organisations engaged in projects within the UK have been able to accelerate their BIM readiness and capability with small specialist teams laying the early ground for wider practice adoption. While levels of adoption are slowly increasing the challenge remains for smaller organisations to adopt and implement the changes required to integrate BIM into existing workflows. Cost of software and hardware would have been a key consideration for many small to medium-sized practices coming out of the recent recession, however, beyond the simple capital outlay there would have been a skills shortage in terms of the ability to drive the software and generate the quality of output required to match existing office standards. The upskilling of existing professionals remains a key challenge as BIM projects require new roles to be established following strict industry standards in delivery of client’s information requirements. The basic modelling aspects of BIM are being met by the next generation of college graduates; however, what remains the key challenge is the education of existing professionals and key business decision makers about the impact of these new processes on existing and well-established work methodologies. What changes do you want to see in the use of BIM in Ireland? BIM as a process promotes collaboration and early integration of project participants to work together towards an Integrated Project Delivery. Unfortunately, this process is not aligned with most building contracts. I feel that the true benefits of BIM can only be realised through promoting open collaboration and supporting this with appropriate types of building contracts. Is the Irish Government doing enough to support the industry? Through the publication of the National BIM Council Roadmap to Digital Transition we have seen an indication that the Government are beginning to understand the benefits of BIM adoption across public work procurement. The key driving force behind the growth of BIM adoption in the UK was the UK Government’s Level 2 BIM mandate. I believe such a mandate in the Irish context would be the single most important factor in promoting widespread BIM adoption. We have had the benefit of shadowing the UK over the past decade in their efforts. We have developed strong working connections with key stakeholders from the UK and the lessons learned from those experiences can feed into the Irish context. What topics should we be talking more about in the Irish BIM Community? 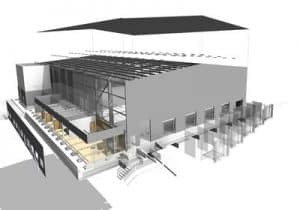 Given that BIM has now gained a strong foothold within both the Irish and UK markets for capital delivery, I would like to see the focus of discussion turning towards the client’s operational end. 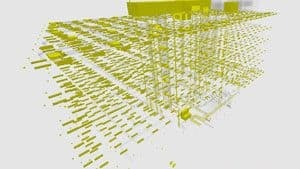 BIM promotes a wholistic “cradle to grave” approach for the development of lifecycle asset data; however, we are only beginning to see the evidence of the benefits of BIM asset data use by clients for operations. Software vendors are working round the clock to develop more integrated FM solutions capable of consuming BIM data. This is the area where future discussion needs to focus. How do you network and stay in touch with industry news and training? I was previously involved with the CitA Eastern BIM Region with whom I served as secretary for 2 years. This group introduced me to a number of the key BIM stakeholders from across the Irish construction industry. Last year, I was involved in the steering group of the BIM Innovation Capability Programme. I regularly attend the CitA morning series presentations and continue to engage with numerous discussion groups on LinkedIn. How do you see BIM roles changing in the near future and is there a need for standardising education and training and having clearly defined job titles? I think that there is an increasing level of understanding now within the industry around the roles and responsibilities associated with BIM projects from a design and construction perspective. As greater experience is gained by individual organisations around how they are expected to operate within a BIM contract, the challenges for information managers in coordinating teams will gradually diminish. I feel that there is more work needed at the outset of projects to properly scope information requirements with clients. In the same way that a project brief for the built asset is developed, a similar process needs to be established to define the requirements of the virtual (digital) asset. Perhaps a role of Project Information Manager for the Pre-Design Stage is something which would benefit the process. How did your MSc in Construction Informatics improve your knowledge of BIM and Digital Construction? Prior to commencing the MSc in 2012, I was keenly interested in the discussion which was happening around BIM and I targeted in as a future area of opportunity for career advancement. I had been using Revit since becoming a certified professional in 2010; however, at that stage, most of the work I was involved with was siloed given that there were very few practices involved in model collaboration. Completing the MSc gave a much wider overview of BIM as a wholistic process involving all facets of a very long supply chain. I learned about key principles related to BIM project planning and execution including the development of project protocols and process mapping. We looked at many new mobile and collaborative computing technologies associated with the BIM process and engaged in multidisciplinary projects which exposed us to the challenges of multidisciplinary project collaboration. In general, what is your opinion of BIM education and training in Ireland? I think that BIM is fast becoming an integral part of many existing undergraduate courses. I have been involved with Royal Institute of the Architects of Ireland (RIAI) visiting boards for accreditation to several Architectural Technology programmes over the past 4 years. Many of these programmes are no longer teaching CAD beyond first year with excellent work being done implementing Revit as the mainstay for production of drawing and project information. There are now numerous excellent post-graduate courses which focus on the collaborative and information management aspect of BIM, including the Construction Informatics MSc and the Applied Building Information Modelling and Management courses presently being run out of DIT. These dynamic courses have evolved in response to an industry need for upskilling of industry professionals to undertake the new and challenging roles which are emerging with the BIM space. What is your advice to Architectural Technology graduates with regards upskilling in BIM? Architectural Technologists fulfil key roles in project teams in terms of their ability to collaborate with and coordinate information from multiple disciplines which they bring together to produce detailed and comprehensive packages at every stage from planning through to construction and handover. The BIM process provides structured methodologies for information management in a digital environment across the whole building lifecycle. I believe Architectural Technologists possess the core skills required to ensure that digital information is being produced to meet project standards and that Information Management roles arising out of the BIM process provide a natural route for professional growth for Architectural Technologists to complement their existing AT skillsets.